It’s more than a gym. 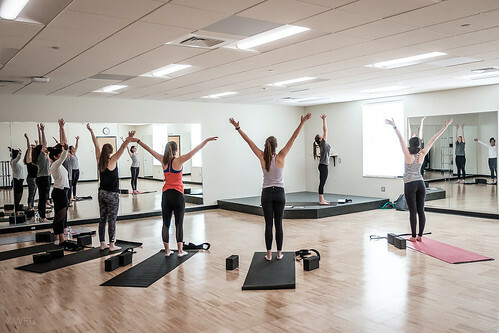 The Reynolds Gym transformation into the Wake Forest Wellbeing Center reflects Wake Forest’s leadership among universities focused on holistic wellbeing. A new, eight-lane pool area featuring abundant natural light replaces the pool originally built in 1956. From fencing to dancing to yoga, students have state-of-the-art space for fitness, recreation and social activities. 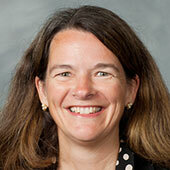 Leadership gifts through the Wake Will Lead campaign made the $60 million renewal effort possible. 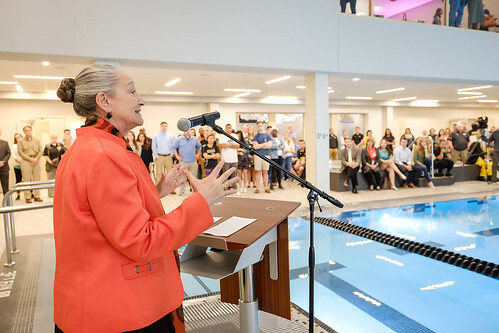 A new 25-yard, eight-lane pool, surrounded by glass walls and three-story arched windows, is the centerpiece of the third and final phase of the transformation of historic Reynolds Gym into the Wake Forest Wellbeing Center. 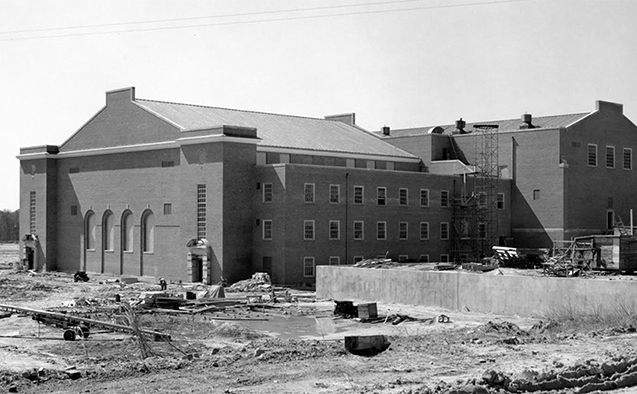 The original pool, state-of-the-art when it was built in 1956, was accessible only through narrow hallways and outdated locker rooms. The campus grand opening – held March 28 – introduced the Wake Forest community to the pool and more than 50,000 square feet of renovated space including group fitness studios for students, faculty and staff; multipurpose rooms for intramural and club sports; and a court for the women’s varsity volleyball team. The additions are part of a three-year renovation project to create a comprehensive wellbeing center. Leadership gifts through the Wake Will Lead campaign helped make the $60 million Reynolds Gym transformation project possible. The entire wellbeing center, including the historic W.N. Reynolds Gym and the Sutton Center, is approximately 180,000 square feet, making it the second largest building on campus after Z. Smith Reynolds Library. About 85 percent of the Wellbeing Center is dedicated to fitness, recreation and social space. The remainder is offices, including Student Health Service, the SAFE Office, the Office of Wellbeing, Campus Recreation, and support services. Phase II opened last August with new state-of-the-art fitness equipment, a 3,000 square-foot open living room, a bouldering and climbing wall and fitness space for weight training and other activities. The Sutton Center, a remarkable two-story addition to the gym named for Wake Forest alumnus and IMG College founder Ben Sutton, debuted in 2016. 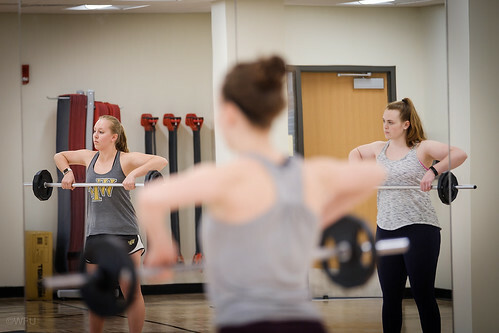 With 46,000 square feet of space for fitness programming and campus activities, including two full-size gymnasiums, the Sutton Center is connected to Reynolds Gym by a floor-to-ceiling atrium. 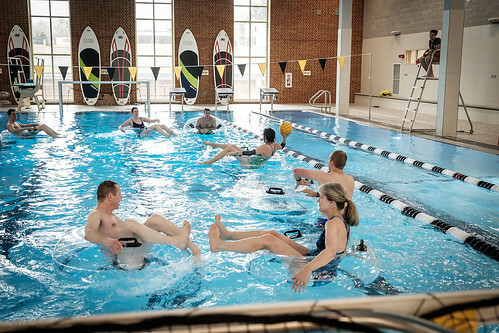 “Transforming the 60-year old Reynolds Gym into a Wellbeing Center further distinguishes Wake Forest as a leader among universities taking a comprehensive approach to wellbeing,” said Vice President for Campus Life Penny Rue, who swims laps four or five times a week and looks forward to being among the first to dive into the new pool. Rue knows water sports may not be for everyone, but she is committed to building a campus community where everyone can find ways to thrive. Beginning in July of 2016, construction crews removed bleachers in the original pool area in order to widen the pool, expand the pool deck and create space for second floor hallways connecting to the new group exercise spaces, classroom, and club sport spaces. From the main entrance to Reynolds Gym, a half flight of stairs leads to an informal gathering space with comfortable furniture that overlooks the pool and one more flight down leads to the pool entrance. Three-story windows bring ample natural light into the new pool area and solar panels help heat the water. A wheelchair lift makes the pool handicapped accessible. 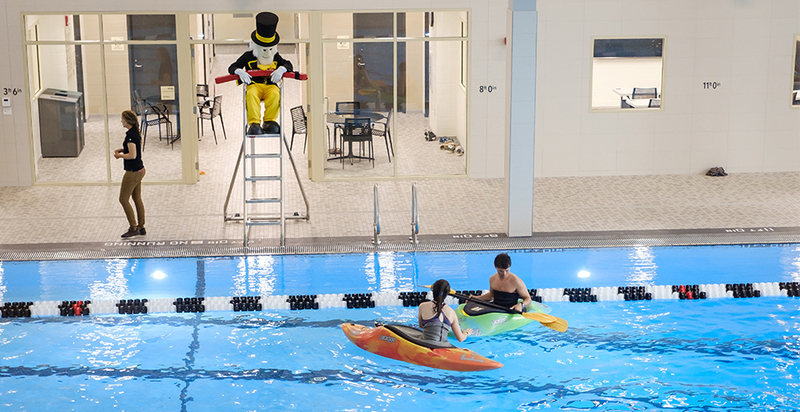 One end features a diving board, while the other has a large whirlpool in the shape of the University logo. A removable basketball goal and volleyball net make the pool flexible for a wide range of activities. 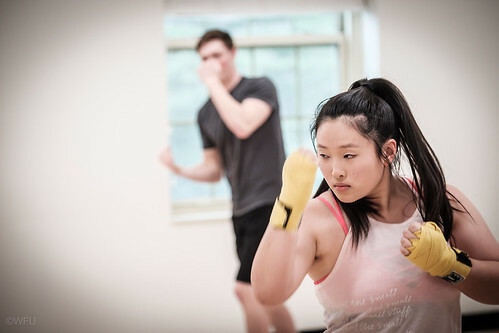 From fencing to mixed martial arts to dancing to wrestling, the new multipurpose rooms provide dedicated practice space for many of the University’s 35+ club sport teams and other student organizations. The new exercise studios support the physical and mental wellbeing, not only of students, but also of faculty and staff. Group exercise rooms on the second floor offer space for fitness classes such as Zumba, Cross training, Core and HIIT. The mind/body studio has a barre and a yoga wall. The mat room has wall-to-wall mats that can be unfolded for wrestling, martial arts or other practices. The cycle studio and large group exercise studio feature virtual reality technology to allow virtual instructors to teach classes. Students can connect their phones to the sound system to broadcast selected music in the fitness and multipurpose rooms. 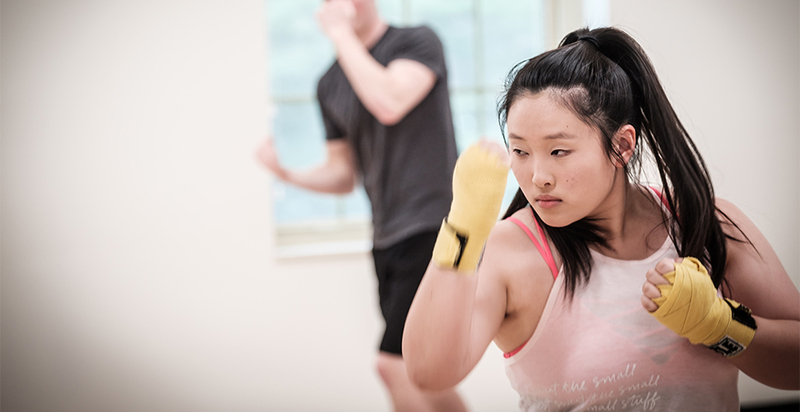 Boxing is among more than 35 club sports offered at Wake Forest. The third floor is home to the Intramural/Club Sports office, as well as conference rooms and training areas. The footprint for Student Health Service, whose primary new space was part of Phase II renovations, has expanded with the latest renovations to include new offices and meeting rooms. 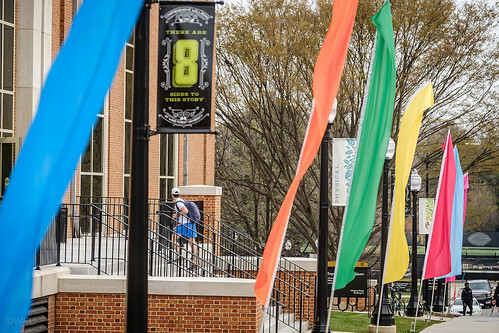 Learn more about how students shaped the vision for the campus wellbeing center in this WFU magazine story. The University’s volunteer, student-run Emergency Medical Services has a new home on the ground floor, making it easier to respond to emergency calls on campus. The renovated wing is also home to student support services including the SAFE Office and a lounge and communal space for the Collegiate Recovery Community, which provides recovery support resources for students – something that is not always easy on a college campus. The top level of the wellbeing center is dedicated to an intercollegiate sport – volleyball. A totally renovated space for the women’s volleyball team features a new court, custom lockers, a kitchen/nutrition area, retractable bleachers, a 9’ x 13’ video board, upgraded sound system, and new training room equipment. One wall in the renewed space incorporates the center court logo from the floor. The gym, home to the volleyball team since 1971, was once the site of all women’s basketball games. A gently sloping hillside adjacent to Reynolds Gym and behind the Sutton Center will provide a casual place for students to gather. The Outdoor Pursuits office, which sponsors adventure trips and rents outdoor equipment, is located in the lower level of the Sutton Center and opens onto the green space where students might throw a Frisbee, hang out in a hammock or listen to informal music performances. Learn more about Wake Forest’s 10-year, $625 million construction effort that reflects the institution’s commitment to offer the best residential college experience in the country.